Earlier this year, on a sweltering March day at Melbourne’s Moomba festival, I was intrigued to see every second person walking around with a curious looking hot snack. Not only did this choice seem incongruous with the temperature, but people were queuing for over 10 minutes in the mid-day heat to get one. What was generating this interest? Nothing more than a potato on a stick. To be specific, “twist potato”. Originally a Korean street snack, twist potato is simply a potato that has been cut with a specially designed machine in such a way that it twists around a stick. It is then deep fried and sprinkled with a seasoning such as cheese, chilli, or BBQ. At first glance twist potato doesn’t seem that novel. After all, it basically offers what seasoned French fries do, except it’s in a different shape. Or, because the potato is cut thin and flat, it’s similar to packet chips, except it’s hot. 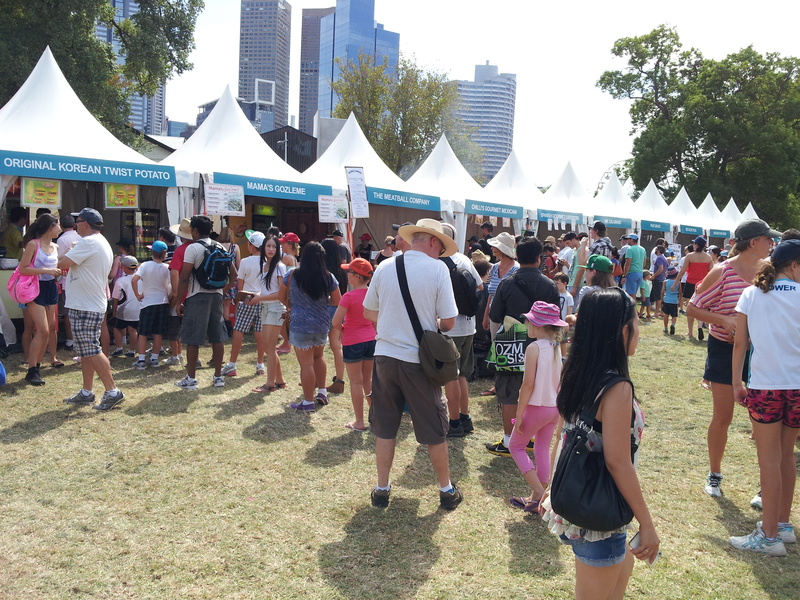 But that afternoon at Moomba it was attracting people’s attention, and outselling every other food stall at the festival, at rates most product marketers can only dream of. The thing is, as a concept, it hits a sweet spot for successful innovation. It is different enough in form and function to garner interest, while being similar enough so as not to discourage trial. These characteristics offer guidelines for the type of ‘breakthrough’ innovation suited to the commercial constraints of the cautious, low-growth markets most businesses currently find themselves in. As noted in a previous post, while many companies see innovation as critical to their success, they are struggling to move beyond low risk ideas. Over the past few years product line extensions have dominated innovation pipelines. It’s not just internal aversion to investing in higher risk ideas that has driven this. Many retailers have been demanding new products reach category hurdle rates quickly or risk being taken off the shelf. As such, new product development has become more about protecting a brand’s range presence on shelf rather than growing value. Seen another way, priority is given to ideas that are more likely to achieve mediocrity; that is, to hit category averages. As observed by international forecaster The Futures Company, this is not the path to growth in low-growth markets. Its recommendation to companies is to “rescale innovation”, to modify their “conventional approaches [that] focus too much on incremental improvement and not enough on the breakout ideas needed in a low-growth world”. Of course this is easier said than done. The marketing landscape is littered with the skeletons of overhyped and under delivering concepts, not to mention ill-conceived brand stretches. No business wants to have the next LaserDisc, Crystal Pepsi or Thirsty Dog! (flavoured bottled water for pets) on its hands. While bizarre brand extensions like Bic underwear, Colgate frozen dinners and Harley Davidson perfume should rightly make companies think carefully about how far they can really stretch their brands. So what should be the criteria for a “breakout idea” in today’s business environment? The answer may lie in the ‘different but similar’ characteristics of twist potato and some of the original, but often forgotten, principles for the adoption of innovations. Every approach to innovation today draws on some degree to Everett M. Rogers’ seminal Diffusion of Innovations. First published in 1962, it is the summation of some 40 years of field research into how new ideas are spread and taken up. It introduced the S-curve to explain the rate of adoption for innovation and the concepts of “Early Adopters” and “Laggards”, as well as that of “Opinion Leadership”. Importantly, Rogers also identified several intrinsic properties of innovations that influence someone’s decision to adopt or reject a new concept. These include the following. Relative Advantage: By Rogers’ definition, “the degree to which the innovation is perceived as being better than the idea it supersedes”. In other words, does it deliver a meaningful and perceivable benefit that is materially different from its substitutes? Compatibility: “The degree to which an innovation is perceived with the existing values, past experiences, and needs of potential adopters”. Or simply, does it fit in some way with familiar uses and formats? Complexity: “The degree to which an innovation is perceived as relatively difficult to understand and use”. The insight here is that concepts that are relatively simple to understand and use are adopted more readily. By no means do all successful innovations need to have these properties. But those that do have an immediate advantage. If one or more is absent then typically higher investment is needed to inform and educate people. Also time and money is needed to support trialling of it, with product demonstrations and sampling being common tactics. As noted, in today’s risk-averse environment, it is money that companies don’t want to spend and time that retailers don’t want to provide. Relative Advantage: Compared to French fries it offers a crispy crunch in every bite and one-handed snacking on the go. Compatibility: It’s clearly similar to French fries and packet chips. Plus lots of other snack foods come on sticks, so why not potatoes? Complexity: It’s simply a potato cut in an unusual way. While these criteria can break down the appeal of a fairground novelty, the question is whether they hold up for mainstream, mass market innovation? For instance, can they explain the success of the UK’s 2013 food Product of the Year? Seeing it’s another hot potato, you bet they can. 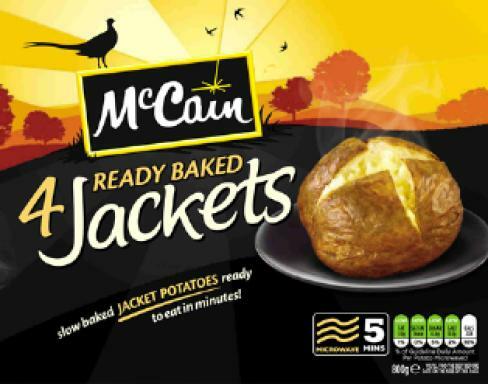 According to its press releases, McCain’s Ready Baked Jackets are baked potatoes that need to be microwaved for just five minutes but taste as good as the oven-cooked variety. The potato is bought part-baked and drizzled in sunflower oil and it is these two elements that give it the texture of a traditional “spud in the oven”. In its first year on the market the product rang up almost £20 million in sales, being equivalent to some 40 million potatoes. So how do Ready Baked Jackets rate against Roger’s properties of innovation? Relative Advantage: As claimed in its launch commercial, the product “tastes, smells and fluffs like an oven-baked jacket potato”. But rather than needing an hour to bake properly in an oven – which is obviously problematic for time-pressed modern families – it’s ready to eat in only five minutes. In this it provides a clear benefit that responds to an unmet need. Compatibility: Apparently baked potatoes are eaten by two-thirds of UK households up to four times a week, and feature in 1.4 billion British meals a year. While microwave cooking of other types of food is common. So the product abundantly fits in with “familiar uses and formats”. Complexity: It’s simply a baked potato that cooks quicker. To sum up, in selecting and developing “breakout” ideas to take to market in today’s conservative business climate, companies should look for concepts that demonstrate the same ‘different but similar’ characteristics displayed by twist potato and McCain’s Ready Baked Jackets. Concepts that demonstrate Relative Advantage, Compatibility and lack of Complexity. Or, simply put, concepts that pass the hot potato test. Great article Glen. Couldn’t help but think of Nestlé and their innovation with Nepresso. In this age of mediocre innovation the fact that this came out of a company that is usually hamstrung by retailer requirements, this outside the box thinking fills me with awe. Thanks for the feedback Janie. Interestingly Nespresso, while definitely a breakthrough innovation, probably wouldn’t pass the ‘Simplicity’ test. There are still a lot of people that don’t understand how the system works. Nestle have had to invest heavily to educate customers. But in Nespresso’s case the investment has paid off. This said, according to this article it took Nestle over 20 years of trial and error to successfully bring Nespresso to market: http://bit.ly/19ZxIL6. InnoMaths: The ‘Twist Tater’ is Innovation-by-Multiplication – take one element and multiply it several times aka the multi-blade razor solution.